This year’s conference theme is Building with Our Roots. As we engage our families and communities, how has our individual and collective history/ies allowed us to build and grow? What can we learn from our experiences as Filipino Americans? 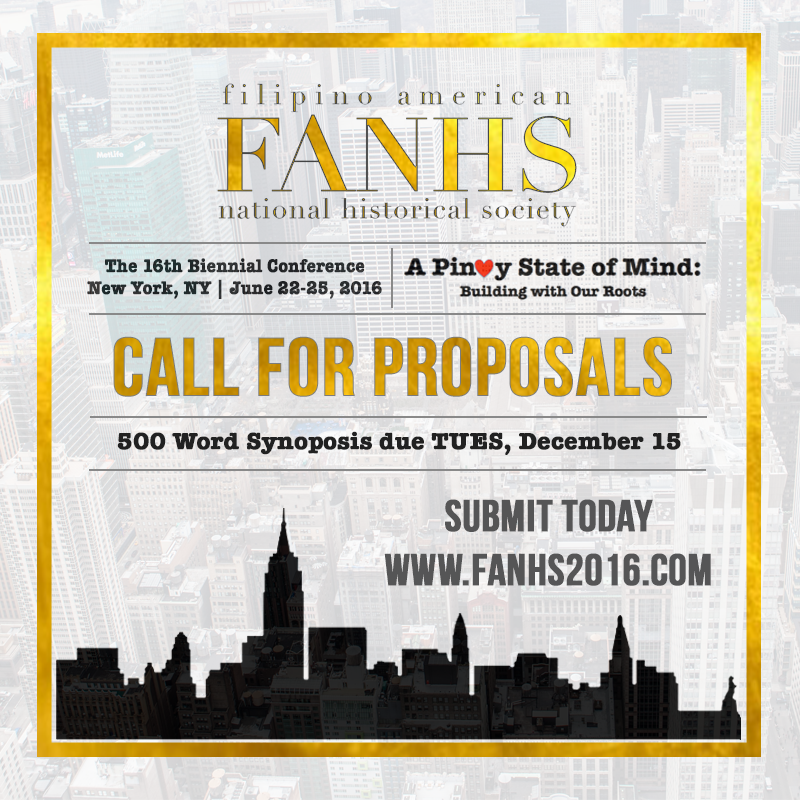 We encourage and invite sessions that explore this theme as well as any other topics pertaining to Filipino-American experiences or histories. Proposals may be submitted for individual papers or presentations (to be grouped with other individual submissions); panels (three or four papers or presentations on a single topic); roundtables (several individuals presenting personal accounts of specific historical events or experiences); and workshops (teaching research techniques or sharing research skills or sources). Proposal is a 500 word synopsis of your presentation topic. Only one submission is necessary for a panel or roundtable. The deadline for proposals WAS December 15th, 2015. If you submitted a proposal, please be patient as we undergo our review process. We will notify those who have been accepted as soon as possible.